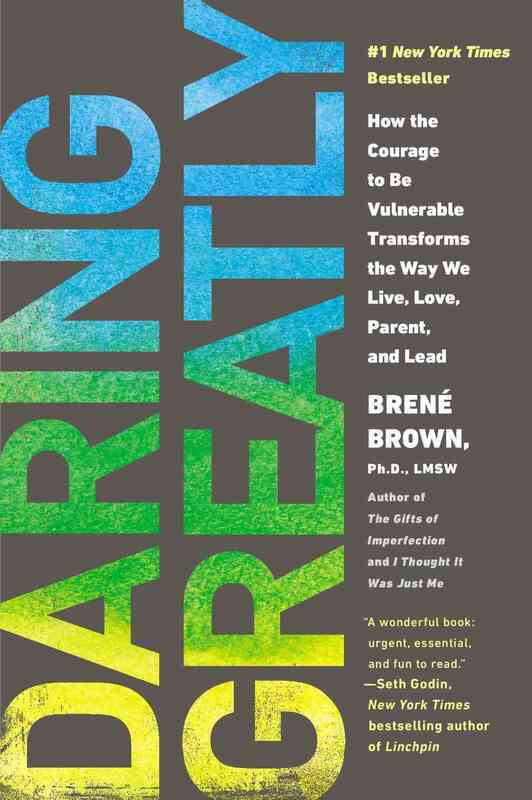 30% of people buy Daring Greatly and Gifts Of Imperfection, The: ~ Paperback / softback ~ Brene Brown. The #1 New York Times bestseller. 1 million copies sold! Don't miss the hourlong Netflix special Bren Brown: The Call to Courage, premiering April 19! From thought leader Bren Brown, a transformative new vision for the way we lead, love, work, parent, and educate that teaches us the power of vulnerability. "It is not the critic who counts; not the man who points out how the strong man stumbles, or where the doer of deeds could have done them better. The credit belongs to the man who is actually in the arena, whose face is marred by dust and sweat and blood; who strives valiantly; . . . who at the best knows in the end the triumph of high achievement, and who at worst, if he fails, at least fails while daring greatly." --Theodore Roosevelt Every day we experience the uncertainty, risks, and emotional exposure that define what it means to be vulnerable or to dare greatly. 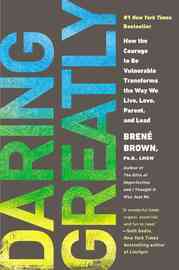 Based on twelve years of pioneering research, Bren Brown PhD, LMSW, dispels the cultural myth that vulnerability is weakness and argues that it is, in truth, our most accurate measure of courage. Brown explains how vulnerability is both the core of difficult emotions like fear, grief, and disappointment, and the birthplace of love, belonging, joy, empathy, innovation, and creativity. She writes: "When we shut ourselves off from vulnerability, we distance ourselves from the experiences that bring purpose and meaning to our lives." Daring Greatly is not about winning or losing. It's about courage. In a world where "never enough" dominates and feeling afraid has become second nature, vulnerability is subversive. Uncomfortable. It's even a little dangerous at times. And, without question, putting ourselves out there means there's a far greater risk of getting criticized or feeling hurt. But when we step back and examine our lives, we will find that nothing is as uncomfortable, dangerous, and hurtful as standing on the outside of our lives looking in and wondering what it would be like if we had the courage to step into the arena--whether it's a new relationship, an important meeting, the creative process, or a difficult family conversation. Daring Greatly is a practice and a powerful new vision for letting ourselves be seen. Bren Brown, PhD, LMSW, is a research professor at the University of Houston, where she holds the Huffington Foundation-Bren Brown Endowed Chair at the Graduate College of Social Work. She has spent the past two decades studying courage, vulnerability, shame, and empathy and is the author of four #1 New York Times bestsellers: Braving the Wilderness, Rising Strong, Daring Greatly, and The Gifts of Imperfection. Her fifth book, Dare to Lead, will go on sale in October 2018. Her TED talk--"The Power of Vulnerability"--is one of the top five most-viewed TED talks in the world with more than thirty-five million views. Brown lives in Houston, Texas with her husband, Steve, and their children, Ellen and Charlie.